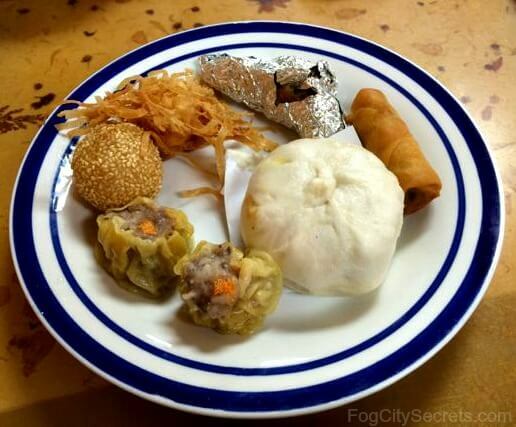 The Best San Francisco Chinatown Restaurants and Dim Sum: A SF local's tips! Walking around San Francisco's Chinatown, it looks like every other storefront is a restaurant. There are around 80 Chinese restaurants just in Chinatown! How to pick out the best ones? Here are my recommendations for the best places to eat and where to find the most scrumptious dim sum! R & G Lounge. Clean, tasty, nicely-presented Cantonese food. Service is fast...not friendly, but not rude. Popular with the business crowd and locals. Attractive environment, even though it's in the basement. Known for their salt and pepper crab and Peking duck dishes. Reasonable prices (but not Chinatown cheap). Open daily, 11:00-9:30. 631 Kearny Street. Try one of the R & G luncheon rice plates. Z & Y Restaurant. Famous for their spicy Szechuan dishes, but they also have the traditional Cantonese ones. Chicken with Explosive Chili Pepper: wow! Try the tan tan noodles. This restaurant has gotten very busy since Obama ate here, and it was on a Best SF restaurants list by the SF Chronicle. Can be a wait at peak times, but they take reservations. (415) 981-8988. Open daily, 11:00-9:30, Fri/Sat 11:00-10:30. 655 Jackson Street. Hakkasan. This isn't exactly in Chinatown, but it's close, and it's a fun place to eat. This is upscale, a bit pricey, but great food and attractive presentation. Looks like a fancy Hong Kong club, but the food is Asian/Chinese/California fusion, with original twists. They even have dim sum. Dress code business casual. Closed Sunday. Open 11:30-2:30, then 5:30-11:00. Reservations recommended. (415) 829-8148. 1 Kearny Street, second floor (four blocks from the Chinatown Gate). 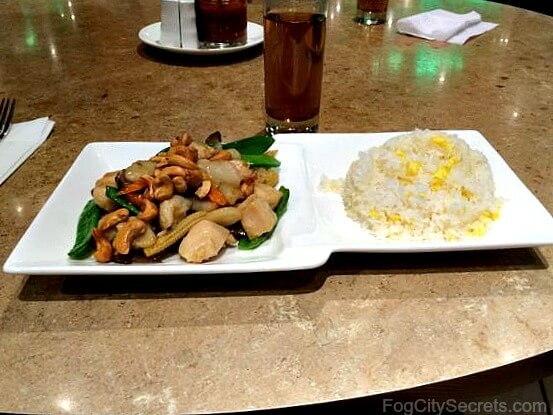 Honorable mention: Hunan Home restaurant is a place to get good Chinese food in a comfortable setting. 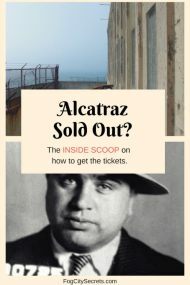 The lines can be really long at mealtimes, but if you go on off hours, you can either get right in or be seated after a short wait. This restaurant has gotten very busy because it's been mentioned in a number of "lists" and guide books. Service and food are decent, restaurant is clean, and prices are reasonable. Very popular with tourists. It doesn't look that good on the outside, but inside is fine. For tabs of $45 and more, they validate parking at the Portsmouth Garage, evenings 5-9. Open daily, 11:30-9:30, Fri/Sat 11:30-10:00. 622 Jackson Street. Many people say eating dim sum is one of their favorite things to do in Chinatown. 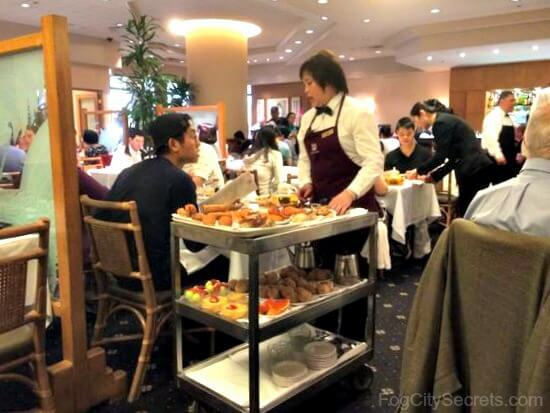 The dim places with carts that go around the room are disappearing from Chinatown, possibly because of the space required, and most are now served from menus, or use the point at the display method (works well where English isn't spoken). Cultural warning: some of the best dim sum places are very authentically Chinese. Not only is the food just like you would find in cities in China, the "atmosphere" is authentic as well. To be blunt, many of these lower-end places tend to have abrupt, rude service, and less than sanitary conditions. But they are very popular because the dim sum is scrumptious and so cheap it hardly feels like you've paid for it! 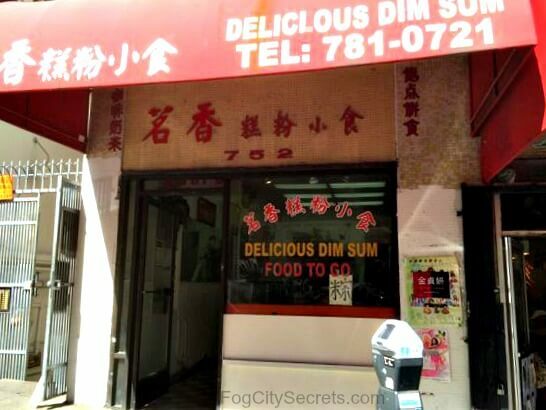 My favorite Chinatown dim sum places, which are also loved by many others, include two sit-down restaurants, and a collection of hole-in-the wall bakeries that are mostly for take-out. The Hang Ah Tea Room, hidden away in a little alley in Chinatown, has been in operation since 1920. This little tea house is the oldest continuously open dim sum place in America. What's so great about it, aside from the historical interest? First, and most important, the food is delicious. Secondly, it's a very comfortable place to eat; the servers are very friendly and welcoming, and are happy to answer questions (not often encountered in Chinatown restaurants!). Prices are reasonable and it's fairly quiet. The background Chinese music adds ambiance but isn't overpowering. It's sufficiently clean, a big plus for a small, inexpensive eating establishment in this neighborhood. The bathroom is also OK, also a plus. They were dinged a couple of years ago with a poor health rating, but these are very common in Chinatown. I don't consider it a deal-breaker in this area; these places are "authentic", which carries with it the good and the not-so-great aspects of Chinese culture. The Hang Ah specializes in dim sum, which is served all day, but it also has a full menu of Chinese dishes. You can order the dim sum individually, or in combination plates. They also have some special teas, brought from China, which are fun to try. On a recent visit, I had the Snow Daisy, or Kun Ming, tea, delicately flavored, amber-colored, and non-caffeinated, which was so good I've been searching for it in the tea shops ever since (no luck, so far). I first came here in 1969 (!) on the recommendation of a Chinese classmate. This was before it was "discovered"; at the time, I was the only non-Chinese customer. Now it's a mixture of locals and visitors. I'm really happy this little gem is still here. Open daily, 10:30-9:00 pm, Tuesday 10:30-3:00 pm. Address is 1 Pagoda Place, which is the other end of Hang Ah Alley, between Clay and Sacramento Streets. Just on the edge of Chinatown there is a great dim sum place with the food carts and white tablecloths. 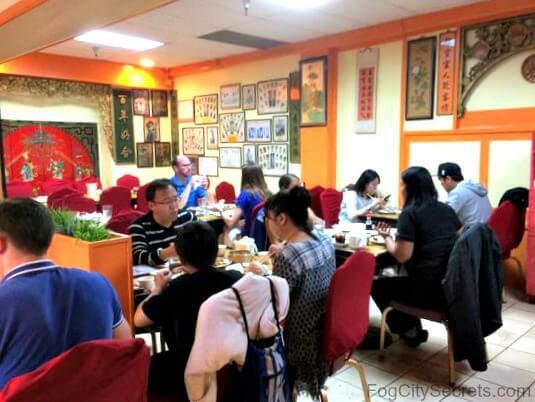 City View is cleaner and quieter than the typical Chinatown restaurant, and the standard dim sum choices are tasty and reasonably priced. They also have other dishes beyond dim sum. Popular with locals, Chinese and non, and tucked away in an alley. Not something you would likely stumble upon accidentally. Their online menu is well-done: nice photos of all the dim sum choices (click on the their thumbnails). See the City View menu. City View has 2 hour validated parking at the Portsmouth Garage nearby, and takes reservations, unusual for Chinatown dim sum places. Open daily, lunch only; M-F 11:00-2:30, Sat/Sun 10:00-2:30. 662 Commercial Street (between Kearny and Montgomery). (415) 398-2838. For a total immersion in the Chinatown dim sum experience, there's Dol Ho. This is where many older Chinatown residents go for dim sum, while they read a Chinese newspaper and catch up on the neighborhood gossip. Customers often share tables. Be prepared: this is a small, extremely cheap, not-very-clean, and authentic dim sum tea room with carts. You may have to fight for a table, or get elbowed out of the way by a frail-looking, Chinese grandma. The dim sum are famous, and you can fill up on an obscenely small amount of money. 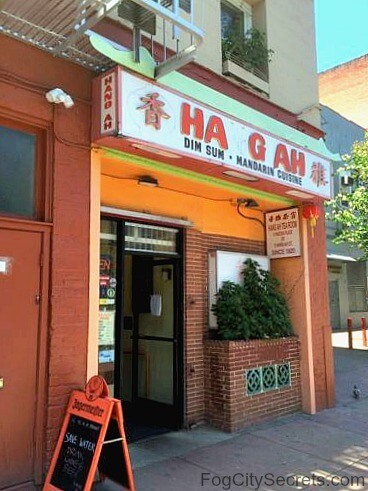 Many of the well-known, Chinatown restaurants have had difficulties with the SF Health Department, but this establishment has had more than its share. In fact, Dol Ho was shut down by the Health Department in March and April of 2016, but has since reopened. You've been warned! Open 8-3, closed Wednesday. Cash only. 808 Pacific Avenue. The rest of my favorites are very small, hole-in-the-wall places which mostly serve take-out customers and cater mostly to local Chinese. The following are "authentic", which means they are rather grungy-looking, and with one exception, the servers can be gruff and impatient, but the dim sum are glorious...and amazingly cheap. $8 will get you more food than you can eat! Eastern Bakery. 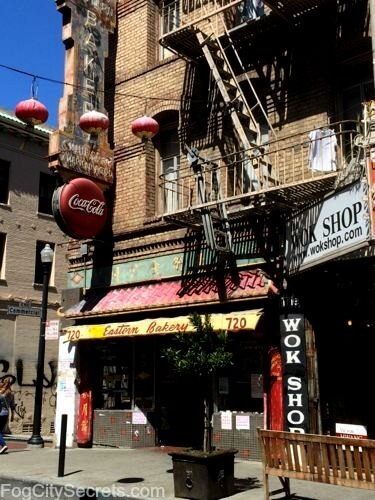 This is the oldest bakery in Chinatown (1924) and a local favorite. Service is friendlier and there is a list of items on the wall in English. Specialties: moon cakes and egg custard tarts with delicate, flaky crusts, and pineapple buns. Check out the crispitos: looks like a fried wonton with coconut, peanut or sesame seed filling inside. A presidential favorite, too; Bill Clinton got take-out here. Try their lotus moon cake. Scrumptious, and will fill you up for hours. Open daily, 9:30-8:30. Cash only. 720 Grant Avenue. Good Mong Kok Bakery. Always a line, very cheap, very good, not very clean, famous for their rude service. Point at what you want and say how many; you can order individual pieces of dim sum if you like (unusual). Specialities: steamed pork buns, siu mai. No English spoken, but they have an English menu on the wall. Go before noon; they often run out of popular items. Takes credit cards now. Many people say this is the best dim sum place in Chinatown. Daily 7-6. 1039 Stockton Street. Golden Gate Bakery. This is a great little bakery, delicious and cheap, but it has unpredictable hours. The two ladies who run it close it at odd times, so it's hit or miss. Sometimes it's closed for a month. But when it's open, locals flock there. Kind of a Brigadoon in Chinatown! 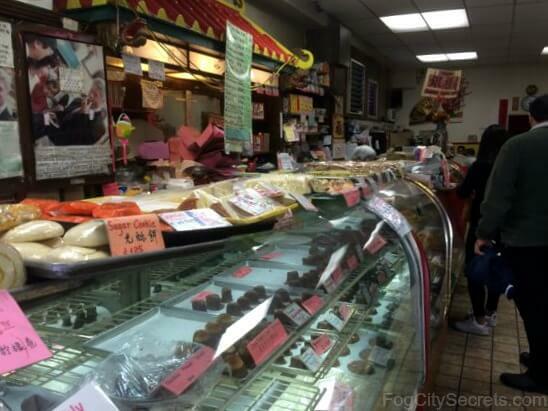 There's even a Facebook page called Is the Golden Gate Bakery Open Today. Specialties: egg custard tarts and moon cakes. Cash only. 1029 Grant Ave. Delicious Dim Sum. Delicious and cheap...and grimy (recent health dept. warning, but that's not unusual in Chinatown). They have a big, new sign with photos, prices and the English names, which makes ordering easier. Try the fried shrimp and chive dumplings, and regular shrimp dumplings. Very generous fillings. There's a small table in back, but not really a sit down place. Open 7-6 daily. They now take credit cards for orders of $10 and above. 752 Jackson Street. Take-out is good if you want to take a feast back to your hotel room. It also makes a nice picnic lunch. 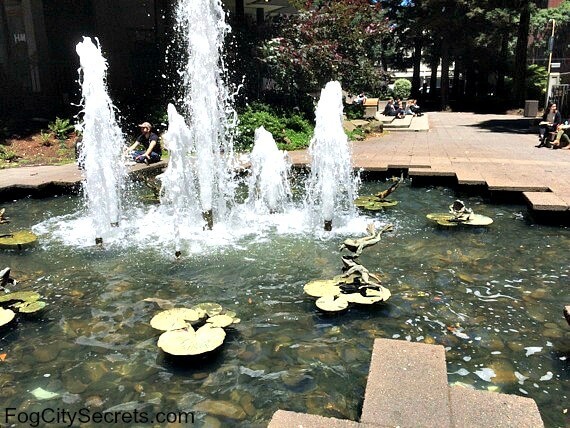 Insider Tip: Chinatown really only has one nice park for sitting and eating: St. Mary's Square, between Pine and California Streets, just off Grant Ave. Portsmouth Square is interesting for it's history, and to see men playing Chinese chess, but it's not a particularly pleasant place to hang out. Another nice park nearby. A cool spot not many people seem to be aware of is only one block from Portsmouth Square: the Transamerica Pyramid Redwood Grove. Just behind the base of the building is a pretty park with 60 year old redwoods and benches to sit on. Check out the sculptures: a group of children jumping into a puddle, and a fountain with leaping frogs (in honor of Mark Twain, who liked to hang out in a saloon formerly located on this spot). There's also a pretty little mini-park on Commercial Street, with benches to sit on, between Kearny and Montgomery. Head 4 blocks north on Columbus Avenue to Washington Square Park in North Beach. Hike a couple of blocks uphill on California Street to Huntington Park on Nob Hill (or take the California cable car up there). Walk 4 to 6 blocks west on Clay or Sacramento over to the Embarcadero and Ferry Building. Miss those dim sum carts? I love them, too! City View has them (and Dol Ho), but otherwise you'll have to branch out. There are some excellent dim sum restaurants that have the carts outside the boundaries of Chinatown; some not too far and others easily reachable by bus from Union Square. Serious dim sum fans in San Francisco tend to think the best dim sum restaurants, as opposed to the little bakeries, are now found outside of Chinatown. 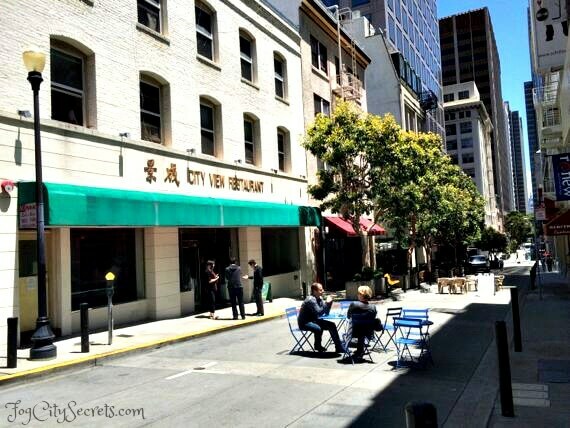 There is a fantastic dim sum restaurant downtown, just south of Market Street. Actually, there are two: Yank Sing, and Yank Sing II. These dim sum restaurants are the exact opposite to those in Chinatown: modern, clean, elegant, and relatively pricey. This is a family-run restaurant that started in Chinatown and moved to the Financial District in 1974. And the dim sum carts are here! This is the yuppie version of a dim sum restaurant. OK, that's not really fair; the dim sum are delicious, and the traditional standby's like shu mai, har gow and pork buns are only a little more than in Chinatown. The tab escalates quickly only when their amazing gourmet concoctions are added to the menu. But it's worth it! To be candid, it's a pleasant change from the grunge and rude service of Chinatown! The Yank Sings are very popular with the people who work downtown in the Financial District. As a result, weekdays tend to be a bit more hectic, with the office workers needing a quick lunch, while the weekend crowd is more relaxed. 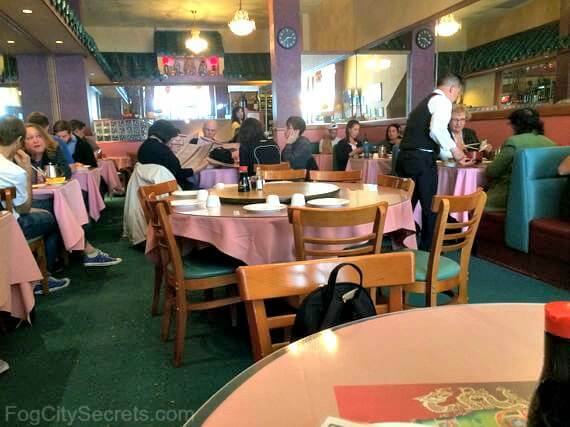 These are huge restaurants, so even on busy days it's not hard to get a table. Both are open daily, M-F 11-3, Sat/Sun 10-4. (415) (415) 781-1111. 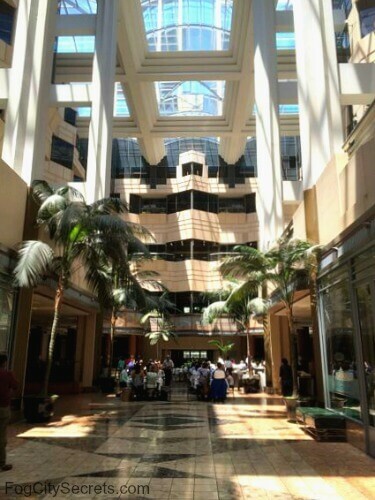 1) Rincon Center has a parking garage. Yank Sing does 2 hour validated parking for $4 on weekdays 10:30 to 3:00, and 3 hour free validated parking on Saturdays and Sundays, 9:00 to 4:00. 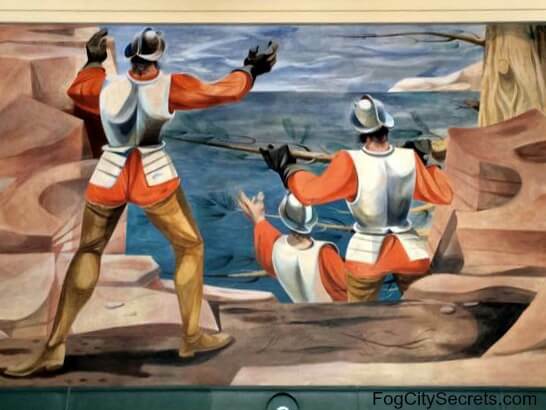 2) Rincon Center has 27 cool WPA murals like those at Coit Tower to check out. The wing with the murals is listed in the National Register of Historic Places: a former post office and a pretty example of 1940's deco-modern. 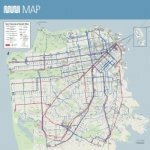 Over the past couple of decades, there has been a large movement of San Francisco Chinese out of Chinatown into the western SF neighborhoods, or what we call The Avenues: the Richmond and Sunset Districts. As a result, there has been a huge increase in the number of Chinese restaurants in these areas; these neighborhoods have become sort of secondary Chinatowns with a more suburban feel. There are at least three great dim sum restaurants along Geary Boulevard, a street that runs from Market Street, past Union Square, then all the way out to the Ocean Beach. They are in the Richmond District, and the 38 Geary bus will take you there. Ton Kiang. Great dim sum, clean, courteous service. Decor nondescript. More popular with non-Chinese. Medium range price-wise. Dim sum brought out on trays, no carts. Menu in English with pictures, servers speak English, and dim sum served all day. They take reservations. Closed Tuesday. 5821 Geary Blvd. (415) 752-4440. Hong Kong Lounge. Delicious dim sum, service and atmosphere authentically Chinese. Inexpensive. Long wait on weekends. Order by marking off choices on paper menu. Takes reservations. Open daily, closed from 2:30-5:30. 5322 Geary Blvd. at 17th Ave. (There's a Hong Kong Lounge II at 3300 Geary.) (415) 668-8836. Dragon Beaux. Clean, attractive surroundings, artistic food preparation (known for their colorful Five Guys Soup Dumpling sampler), and courteous service. Popular with both Chinese and non. More expensive than the usual dim sum places. Order by checking off menu list (in English, with pictures), or take from passing trays. Can have long waits on weekends. Takes reservations. Dim sum not served in evenings. Open daily, closed 2:30-5:30. 5700 Geary Blvd. at 21st Ave. (415) 333-8899. Dumpling Kitchen. Small restaurant, good dim sum, reasonable. 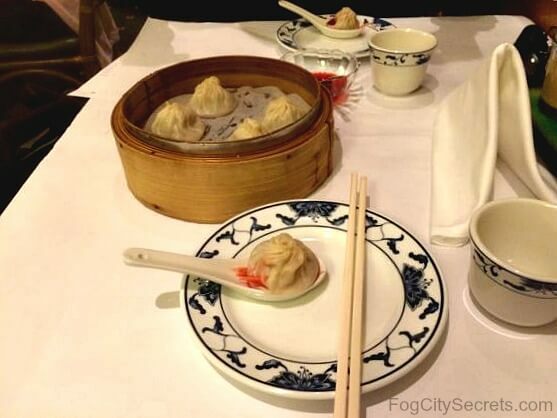 Try the soup dumplings (xiao long bao). Takes credit cards, parking can be tough. Open 11-5 weekdays, 10:30-9 weekends, closed Wednesdays. The L-Taraval street car goes by it; you can catch it downtown, under Market Street. 1935 Taraval at 30th Ave.
Shanghai Dumpling King. Another really good one, on Monterey Blvd. in the Sunnyside neighborhood, near City College. 696 Monterey Boulevard. They also have a restaurant in the Richmond District, at 3319 Balboa St.
Koi Palace. This restaurant is often said to be the best dim sum place in SF (though it's actually in Daly City, just south of the SF city limits). A vast room, with dim sum carts, and lots of loud Chinese conversation. Very popular with local Chinese families for weekend brunch. Attractive decor, reasonable prices (but more than Chinatown). Very long wait on weekends, but they give you a number and they have a TV that shows the numbers; takes reservations. It's located in the Serramonte Mall on Highway 280, so you need a car to get here, and parking can be a challenge. Sister restaurant of Dragon Beaux. Open daily, but closed mid-afternoon. (650) 992-9000. ... and Best Dim Sum. Click on one of the pins to see the name, or the upper left do-hicky next to "Chinatown Restaurants" to see the whole list. Debate over the best dim sum places in San Francisco can be intense! These recommendations are strictly my personal opinion, and there are plenty of other great dim sum places, too numerous to mention.